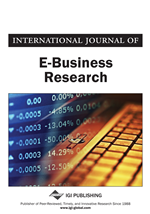 This study examines three trust-building processes (relational, calculative, and institutional) that shapes individual trust in online firms and compares how the effects of these processes change over time as users gain experience with the target firms. It hypothesizes three alternative belief structures resulting from the above processes as determinants of trust, theorizes how their effects on trust change as users observe and learn from the firm’s actual behavior, and empirically tests the hypothesized associations using data collected from a field survey of online banking users. The results indicate that relational, calculative, and institutional beliefs are significant drivers of trust. However, calculative and institutional beliefs have stronger initial effects than relational beliefs for new consumers of online firms. The effect of calculative belief on trust decreases with time, while that of relational beliefs increases and that of institutional beliefs remain relatively unchanged. Research and practical implications of these findings are discussed.